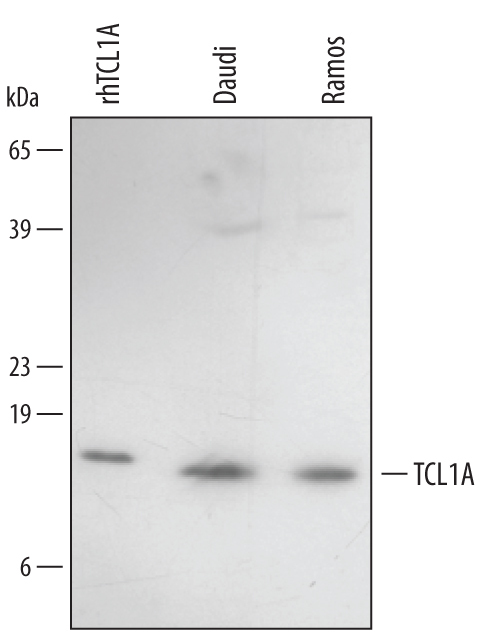 TCL1A (T cell leukemia protein 1A; also p14 TCL1) is a 14 kDa member of the TCL1 family of proteins. 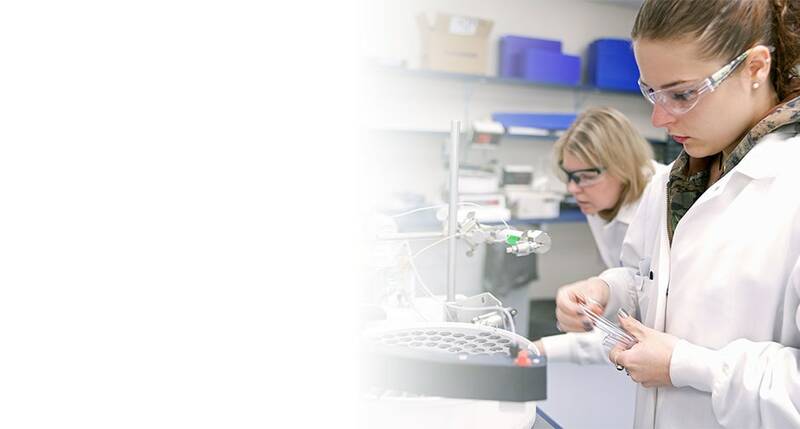 It is expressed by thymocytes and activated T and B lymphocytes, and interacts with Akt kinase, promoting its activation and the subsequent deactivation of proapoptotic molecules. Human TCL1A is 114 amino acids (aa) in length. 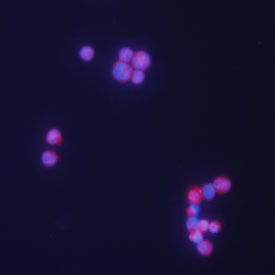 The amino acids Asp16 and Ile74 mediate Akt association, while Pro36Leu37Thr38 mediates TCL1A homodimerization. Full length human TCL1A is 50% aa identical to mouse TCL1A. "TCL1A" has 1 results in Products.